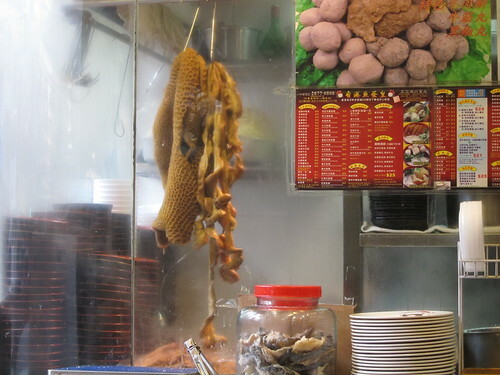 Gourmet Pigs: 8 Hours in Hong Kong. An 8 hour layover in Hong Kong. The authentic, cheap HK food was supposed to be in the area called Causeway Bay, so I attempted to walk there. Turns out Hong Kong was really hard to get around on foot - the map doesn't tell you where things are connected on land, by bridge, or not at all. Eventually I gave up and tried out their subway system. 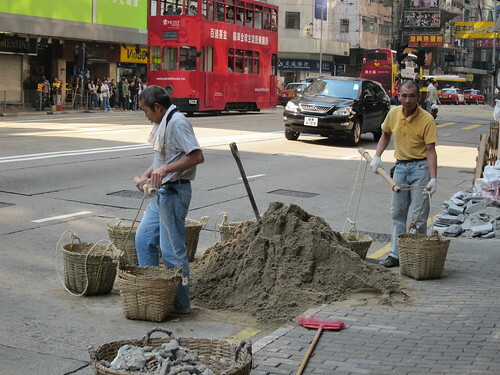 Causeway Bay wasn't particularly "pretty" and there were a lot of small constructions going on. Interestingly, a high end mall with stores like Louis Vuitton were located just behind a row of market stalls. I had some trouble finding food. See, I landed very early in the morning, and turns out that most places don't open until 10 am. So I walked and walked until I found something open and interesting. In the end, I went into a hole in the wall selling fish noodle soups. 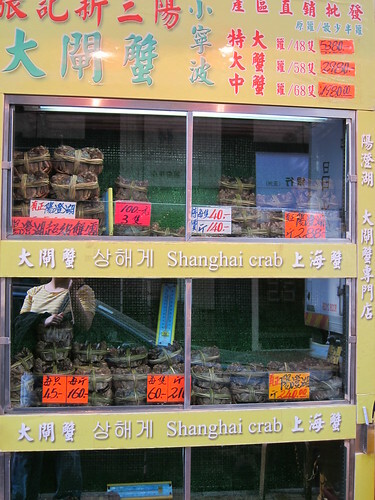 How can I say no to a pieces of tripe and intestine hanging on a window display? It's not noodles in fish broth. It's "noodles" made with fish! 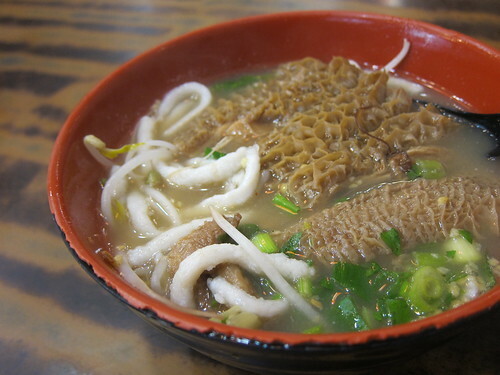 Think fish balls but made into long strands, served with tripe! Took the ferry across from Central to Victoria Harbour and got a nice view. 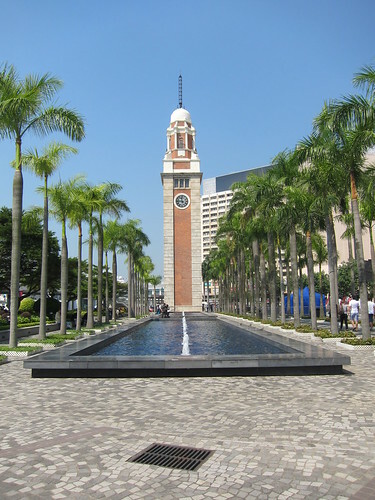 This was evidently a much more affluent area, with European style buildings, clock tower from 1915, art museums, and Hong Kong's Avenue of the Stars. The fancy western restaurants seem to be concentrated here as well (e.g. BLT). And? What else did you do? This post ended so abruptly? Aha, I agree heavy backpacks make you want to travel nowhere. You should have left it if possible in some baggage storage place! Agreed, HK food is hard to find in the early mornings...pretty much only bakeries and hotels open early with the exceptions of some special places. You should definitely stop by longer next time; I went for two weeks in December but still it was just too short to experience plenty. 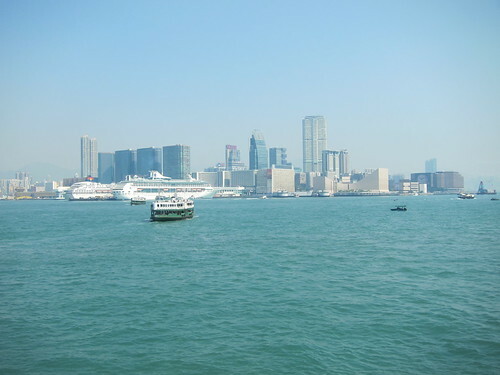 The other side you went to is Tsim Sha Tsui. You would have also seen an afluent side on the "island" side with Causeway Bay had you gone towards Wan Chai or Central/Admiralty, Causeway Bay though is great for cheap eats and interesting foods! I agree with Wandering. . . .so abruptly, too bad you only had a few hours. 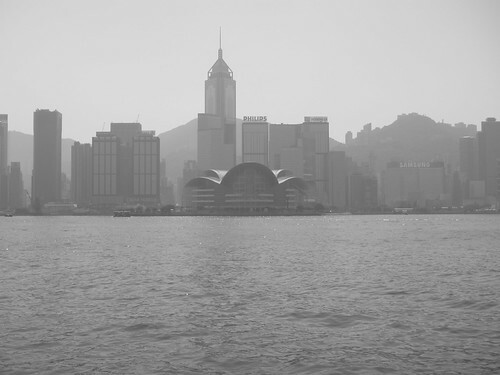 I lived in Hong Kong for about a year. I think the little restaurants that serve BBQ & roast pork, chicken, and duck are great. I always make sure I stop in Wan Chai for BBQ pork rice, any and every time I can. 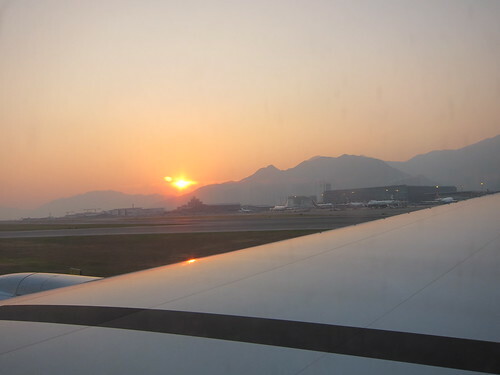 . .
Was this your first time to Hong Kong?